There is probably no other virtual assistant better than the Google assistant. Oh yes, Amazon Alexa is good, but, Google assistant is the best. Across many platforms, you’ll find Google assistant to be very helpful in remotely sending commands to your gadgets. Siri and Bixby which are the immediate runnerup assistants after the Amazon Alexa are no way close to matching Google’s virtual assistant capabilities. 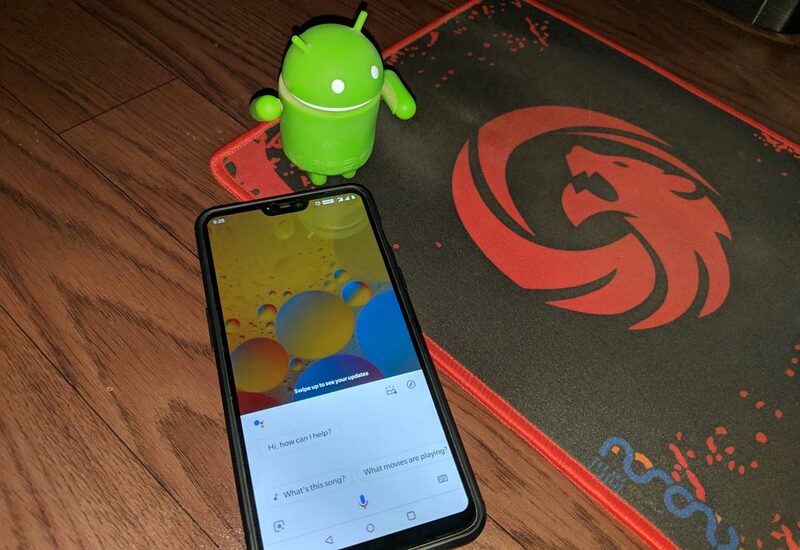 Since Google assistant is compatible and integrated into various devices, we use every day such as smartphones, smartwatches, smart TVs, speakers, etc. it will be good to learn about some hidden tips and tricks on how to maximize the features of this virtual assistant. This article will share the top 10 unknown Google assistant tricks and tips. 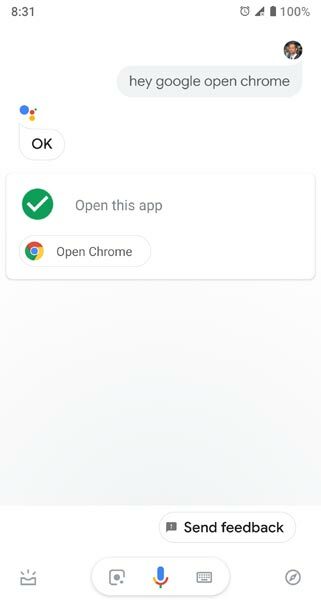 Almost all Google assistant commands require an internet connection to go through. However, there are yet some commands that work offline. Since you already have some songs on your music library, the assistant doesn’t need to search the internet to play those songs for you. Note: before you say any of these commands you must start with “Ok Google” to awaken the assistant. Or long press Home button. This requires internet connectivity. Google Assistant works almost all smart home products (gadgets, accessories, devices, etc.). Quite of a bunch of smart home product manufacturers such as Nest, Webo, Philips Hue, Honeywell, Belkin, etc. 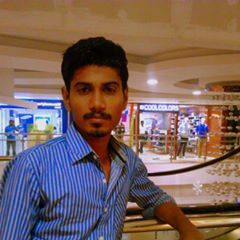 make their products to be compatible with the Google virtual assistant. So, you can virtually control the smart products in your home from the afore-mention manufacturers using Google assistant. Tap on the three-dot menu icon which is at the upper-right corner. A recent update rollout shows that Google assistant can now work together with chromecast to virtually stream contents from YouTube, Netflix, Spotify, etc. using voice commands from your phone. The movie will also be streamed straight to a compatible smart TV on the same WiFi network via voice commands. To use the assistant with Chromecast request the title of any movie, your Chromecast will start right up. In the same way, you can pause, play, adjust playback volume, and even skip songs with the help of Google assistant. The assistant will search the internet and get out the nearest addresses to the query you searched for. Furthermore, you can ask the assistant “which ones are open now,” and it will trim down the results to display only opened offices as per your search query. 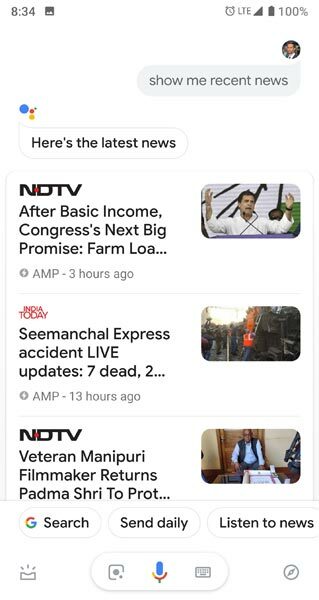 Just say, “Okay Google, tell me the trending news” or “Okay Google, play current news.” The assistant will bring out the recent/trending headline from top news sources. However, to customize the sources you wish to be reading up news from, go to the assistant settings and look for the “news” option. Clicking on this prompt adds the search to your Subscriptions of which you’ll now be receiving daily updates from the Google Assistant based on your defined requests. This feature is limited to Allo users. Apparently, this works generally for all Android devices with Google assistant integration or support. Google Assistant responds to your voice even when your device screen is off. But, when you activate your screen by voice command, you will still have to enter your PIN or password to unlock the device. 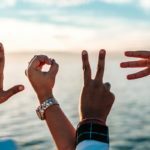 Would you want to listen to a male’s voice or a female’s voice? You can decide the voice you wish always to hear when you send the commands. Naturally, the Google voice assistance responds with a female voice having an American accent. However, you can switch between a female voice and a male voice with different accents. This virtual assistant by Google is advancing steadily to fit into everyone’s comfort. The Google Assistant now supports multiple voices of both men and women voices with different accents. 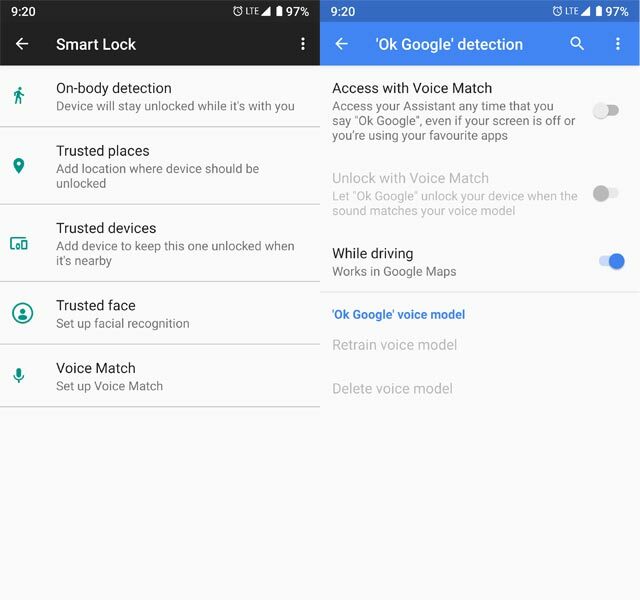 To change the default Google Assistant’s voice go to Settings >>> Preferences >>> Assistant Voice and choose your favorite voice. 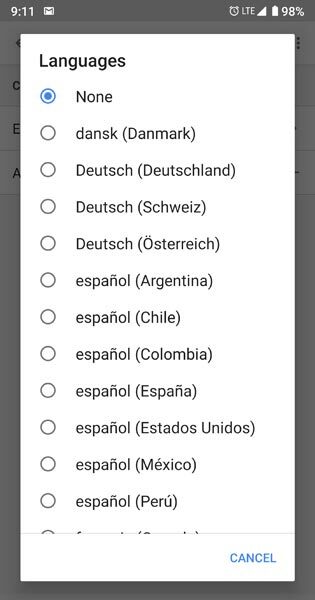 To change the language of the assistant go to Settings >>> Preferences >>> Language >>> Choose your Language. You now easily switch on your quick settings without dragging down the notification menu on your Android device. Google assistant can help you activate quick settings at ease. It just very simple; say “hey Google or ok Google” the say what you want to activate. 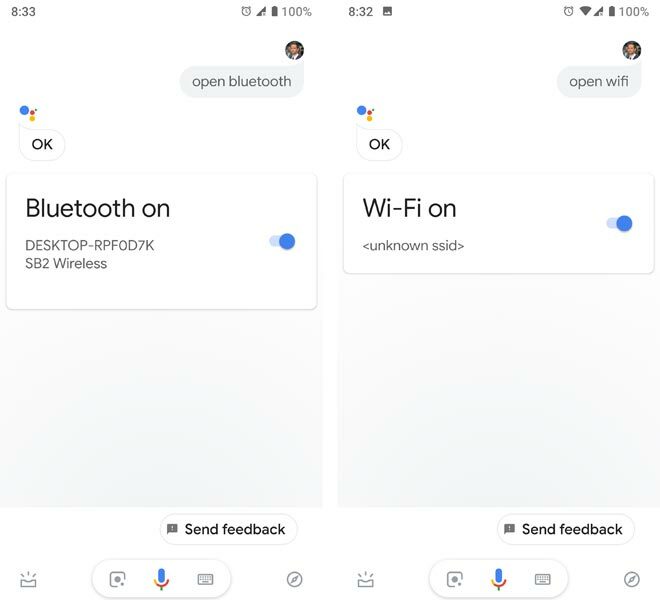 Example; “okay Google, turn on wifi,” Okay Google, turn off wifi. You can repeat this command for settings like mobile data (on/off), Bluetooth (on/off), airplane mode (on/off), and the likes. Unlike other commands, this does not require internet connectivity. In this same manner, you can launch applications that are installed on your device. Ok Google, open Gmail. Interestingly, you can get the latest currency rates for different currencies. Also, you can convert unit measures such as pounds (lbs) to ounces (oz). 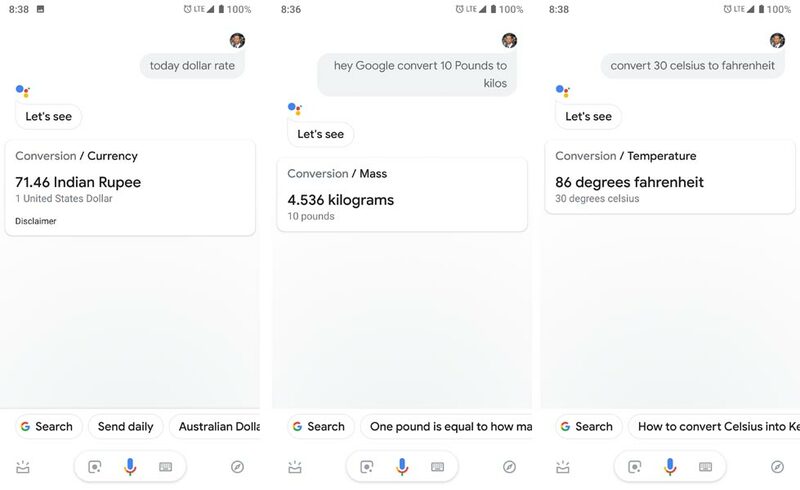 “Hey Google, convert 10 pounds to kilograms”, the assistant will run the conversion and show you the results. 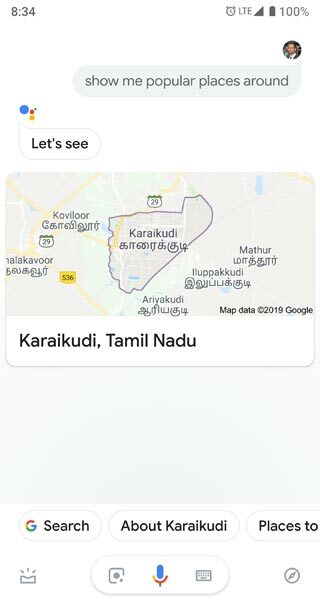 To get current rates to say – “Ok Google, what is the current USD rate to INR” or “Ok Google, convert USD to INR.” Either of these commands will show you the current conversion rates of the two queried currencies. Note: “Ok Google” and “Hey Google” are the same, they are the command(s) you use to activate the virtual assistant. 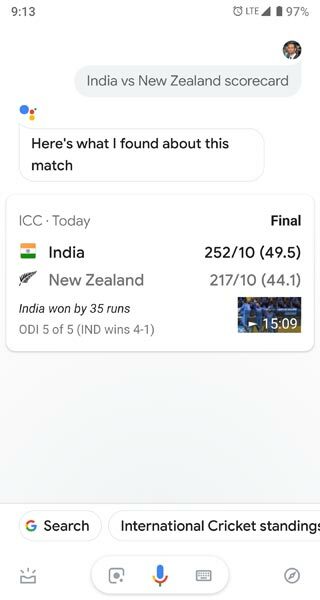 Similarly, as you’d read up daily trending news using the Google assistant, you can also stay updated with various sports news. Lastly, the final trick we will share on this article is how you can send voice messages with the Google assistants. This works very well for parents who want to send a message across to the kids on the other side of the house. You need a compatible smart speaker before you could use the assistant to send voice messages across. Google Assistant will even go further to transcribe your message if the receiver would rather read it. 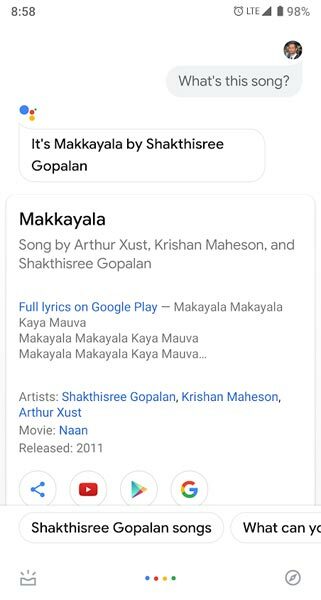 You can ask your Google assistant to Identify which is now playing in your place. It can identify that Song. These are some of the common actions or tricks, which you could do with the Google assistant. To control your home with this technology, you need to turn it to a smart home by bringing in the latest smart devices which are compatible with voice assistants. One of the best advantages of voice assistants is that they help you to control or do certain things remotely. It is not only Google that has a virtual assistant, but Amazon also has Alexa assistant, and there are quite other ones too. However, the Google assistant seems the best and most compatible one amongst all. If you have other commands that are not mentioned above, command below to let us know.